One of the secrets to writing successful proposals is to write the proposals backwards. Ok, I don’t mean line by line backwards. What I mean is identify the problems first and then write the proposal to address these problems. I’ve been reading Business Proposals for a client all week (I assess Business Plans and Proposals as part of my consultancy services) and found it very difficult to make a solid recommendation. They have (almost) no grammar or typing errors. Even the prices are fine. The problem is that they are offering solutions to problems we don’t actually have. Did they read the RFP in detail? Did they read out annual reports? Did they ask to see any feasibility studies we did? One way is to step back and see how you can link your client’s strategic needs – what holds their business together – and what you have on offer. By doing this, you’re putting yourself in their shoes and writing the document so that it answers the issues they have. This actually makes your life simpler. Instead of writing about features, specifications, and other functionality you can dovetail your product offerings to their exact needs. First you need to identify their strategic needs. Indeed, the fastest way to lose business is to write business proposals/business plan from your perspective and not that of your clients. The second is to overlook how the proposed solution actually meets the client’s requirements. You’d think this would be obvious, right? But many proposals I review miss this point. The proposed solution and the actual business requirements are very far apart. You need to read the Request For Proposal, Business Cases, Annual Reports and other collateral that gives you an insight into their business operations. Ask yourself: what it is the client really wants to accomplish. In other words, does the Request For Proposal, your solution and their Strategic Plan all connect. If not, revise your Proposal and close the gaps between their needs and your offering. Indeed, the more knowledge you have of the client’s strategic goals, and how they impact their business, the more likely your proposal will align with their needs. Business Strategy – how can you increase their market share; raise profitability; reduce overhead and marketing the product line. Technical Strategy – how does your product automate labor-intensive processes, enhance quality with automated machining. Social Strategy – in what way can you enhance employee morale, reduce turnover, increase brand recognition, and change consumer attitudes. Personal Strategy – and how can you improve career development opportunities and improve employee issues. Revise the Business Proposal so that it addresses each of these strategic goals. 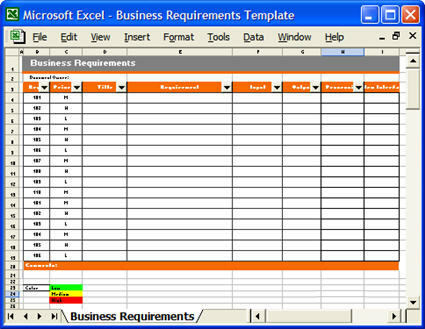 I use an Excel spreadsheet (matrix) to captures the requirements in one column and then cross-references it against our products key features. You can develop something similar that allows you to map your technical solution against their Request For Proposal or other business documents. In next week’s article, I will look at how to identify the client’s strategic goals. Once you have identified these, you can fine-tune your Proposal to match these goals. The cardinal mistake that many novice business writers make is to focus on their product – and assume that the reader will have the time, patience and interest to read their material. This is forgivable when someone is charged up and wants to get the message out. And it works to a degree. The message is sent out but does anyone likes what they read? And will they be so patient the next time? How can we improve this? Where do you see the connection between Request For Proposals and identifying Strategic Goals? 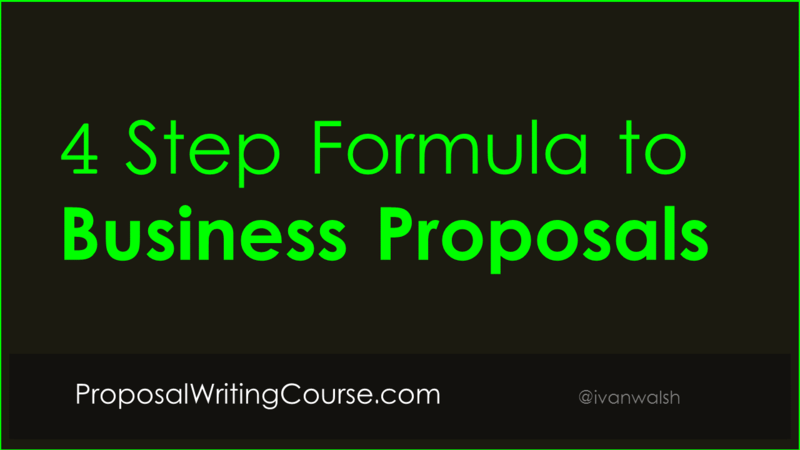 Also, what other points should business writers bear in mind when developing their Business Proposals? PS: The Business Plan Template is here.